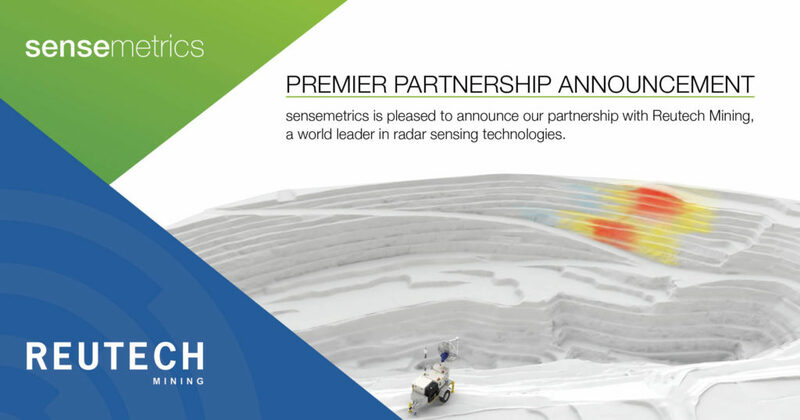 sensemetrics is pleased to announce our partnership with Reutech Mining, a world leader in radar sensing technologies. We are committed to the continued expansion of our platform and are excited about the added benefits that true 3D aperture radar brings to our existing partner portfolio of geospatial, geotechnical, and environmental sensing. Read the full press release here. Further enhancing safety and productivity through accuracy and reliability.